For more than a year now, the habitat rights of Mankidia community of Odisha, one of the state’s 13 Particularly Vulnerable Tribal Groups (PVTG), are in a limbo. The Act recognes the forest and habitat rights of the PVTGs. ‘Habitat’, as defined under Section 2 (h) of the FRA, includes the area comprising the customary habitat and such other habitats in reserved forests and protected forests of primitive tribal groups and pre-agricultural communities and other forest dwelling Scheduled Tribes. The community’s rights were approved by the District Level Committee on August 8, 2016. Yet, since then, the land titles have not been granted. While they have the legal approval of the DLC, unfortunately for the Mankidia, the state’s forest department is not willing to give the land. The bone of contention for the forest department is the core area of the Similipal Tiger Reserve (STR) where the Mankidia eke out a living by collecting Siali fibre. The National Tiger Conservation Authority’s (NTCA) order, through a letter dated March 28, 2017, preventing granting of rights in the absence of guideline for notification of critical wildlife habitats, has also played a role in stalling the process of addressing the historical injustice that the FRA is based on. The reluctance of the forest department came to the surface again on December 15, 2017 when the Deputy Director, STR, Baripada raised the issue objecting to conferring of habitat rights to the PVTG within Similipal core areas. The deputy director, STR, JD Pati, who is on the DLC, cites safety of the Mankidia as the reason for not granting titles in the core area. “There are elephants and tigers in the core area. How can I let the people risk their lives by going into the forest just to collect some honey and Siali fibre?” Pati says. He also says that the minutes of meeting of DLC proceedings of August 8, 2016 approving claims was a clerical error. “The DLC’s decision on the claims was that they needed further approval,” he said. Meanwhile, the future of the Mankidia community hangs in the balance. 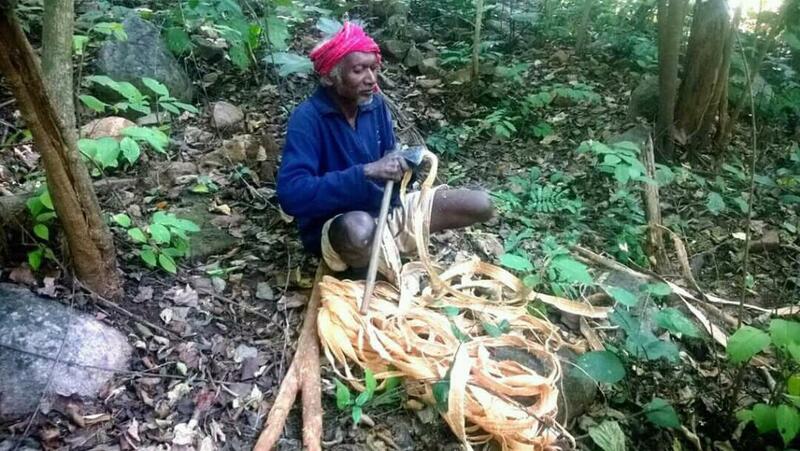 “The siali fibre is available in dense forest area, the core area of the STR, and we solely depend on this for our livelihood sustenance,” says Kamu Mankidia, traditional leader of Durdura village inside Similipal Biosphere Reserve (SBR). Another traditional leader of Sarat (Rangamatia) village, Dhanusar Mankidia, fears that any type of restrictions or riders imposed on collection of siali fiber would push them to poverty and penury. Very interesting issue. Only 1194 Sqkm of area out of total about 52000 sqkm. Forest area of the state I.e.2.5% area is made core area having status of critical tiger or wildlife habitat where wildlife feel their own habitat. But we humans without making our livelihood in rest 98% of forest area, still want to exploit that little space left for voiceless simple animals in name of habitat right. Such cruel humans in guise of tribal right activists arrange their livelihood by downing the Earth mother. It's ridiculous. Animals have equal rights to exist in this mother earth though they can't give vote.